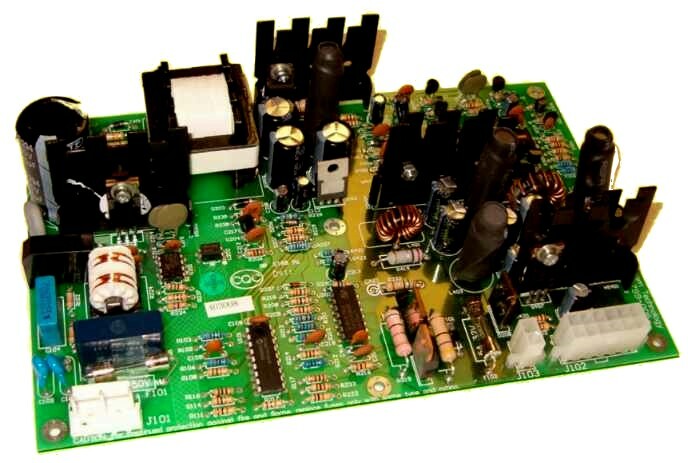 This universal input (90-280 VAC, 50/60 Hz) power supply board has 12 VDC, 5 VDC, 3.3 VDC, and 2.5VDC outputs, and charges a 12 volt lead acid battery which automatically switches in when the AC power is removed. This is an expample of a custom product that we have developed. 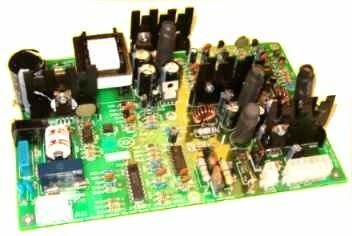 The last production run was in 2004, some of the components are now obsolete, so it cannot be manufactured according to the current design.
. Model : PST-DCUPS-30 Multiple output AC input DC power supply with battery backup, a DC UPS board level product. For Outdoor use the Hawker Cyclone may have a wider temperature range. input +5 VDC at 1 amp +3.3 VDC at 3 amps. Also available from this board are 2.5 VDC at 1.2 Amps +12 VDC at 1 amp, AC failed signal--A TTL signal indicating that the AC power is down. Battery bad alarm--A TTL signal indicating that the battery should be replaced. External power down signal--shuts everything down but +12 VDC when activated by an external TTL signal. Also turns the supply on with a TTL signal. Size of board: 5 x 7.75 x 1.75 inches. the 1.75 inches can be negotiated down to 1.32 if necessary. Size of battery: The Hawker Cyclone 8 AH 12 Volt pack is 5.25 x 3.68 x 4.19 inches, and weighs 6.75 kg.